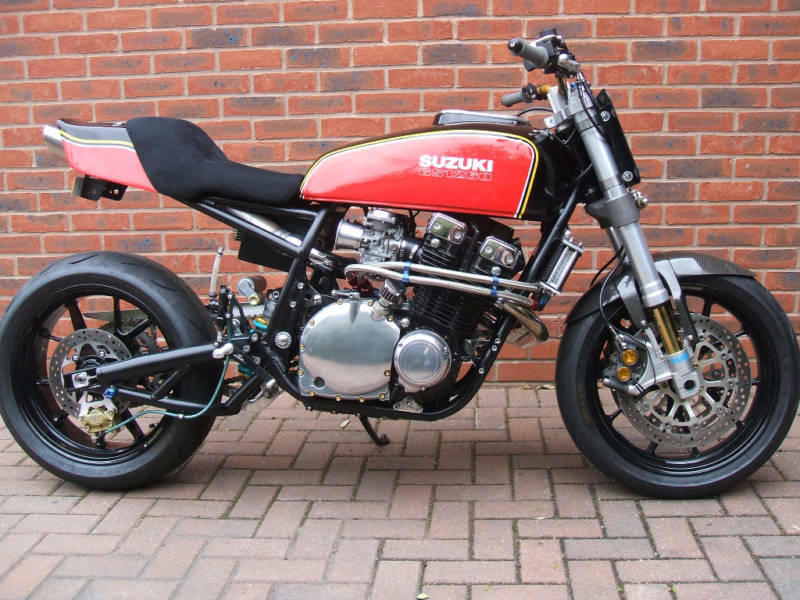 Can anyone Id what year and model this bike is I am very interested in the Swingarm as I have a 77 GS 750 that I am working on and want to have a mono shock on it. Google "GS1260" and I see some pics and Instagram stuff pop up and you can probably find it and/or contact the owner or his friend. I'm not on any of that stuff lol. Last edited by captainchaos; 06-21-2017 at 04:34 PM. Damn that's beautiful. My personal very favorite look of all custom bikes-old bikes with modern suspension and wheels. Last edited by captainchaos; 06-21-2017 at 09:55 PM. google ,grumpy 1260..... a lot of nice stuff..